Two Nights. Two Entirely Different Programs. 38 DANCERS. 10 CRITICALLY ACCLAIMED BALLETS. 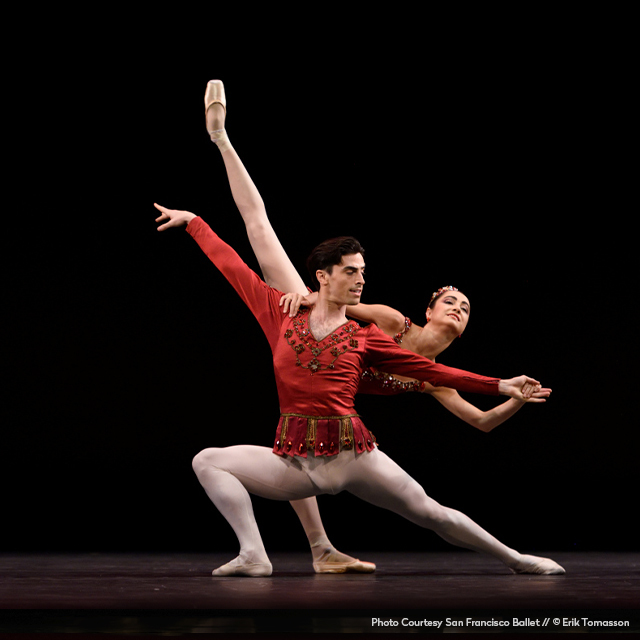 Don’t Miss San Francisco Ballet at the Sun Valley Pavilion this Summer! "Memory fades with advancing age, but I'm never, ever going to forget Misty Copeland's last flutter of the dying swan. (Just typing those words made tears well up all over again.) What utter magic! "What a tour de force! Thank you very much for another magnificent, beautiful and memorable Ballet Sun Valley festival. You have given our beloved Sun Valley such a gift - we are all spoiled now and hope Ballet Sun Valley will continue forever!" "Congratulations to the team of dedicated Ballet Festival organizers! The performances were absolutely breathtaking. Such a great mix of traditional and contemporary dances to bring awareness of just how important dance is to all of humanity. The collection of work was certainly food for the soul. Thank you from all of us here in the City of Sun Valley!" "The last two nights were incredible—A true joy!" "I enjoyed the performances, and the young dancers were terrific and delightful! Thanks for all of your efforts!" "The performance last night was magical, fabulous, so beautiful, and thrilling. I am awed by the dancers’ abilities to defy jetlag, altitude, dehydration and to deliver the most extraordinary performances….they are all so special." "Last night was amazing. Thank you for hosting us. It was wonderful to meet your family and see the big grins on your girls’ faces. I’m always so excited to see kids’ reactions. What a gift you’re giving them." "Thank you so much for bringing this outstanding talent to our Valley and for all the work it took to make it happen! What a treat to see such beauty and talent!" "It was a fantastic performance - so happy we got to see it up close! Bravo for all the great work in putting this together!"